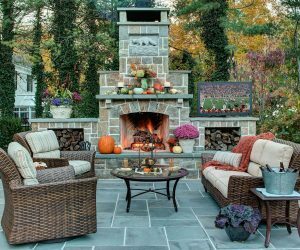 Fall Football Party - Deborah Cerbone Associates, Inc. 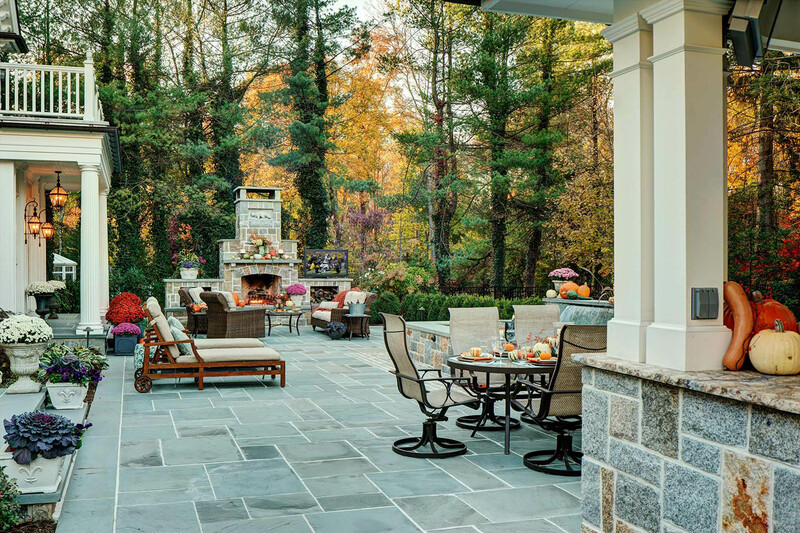 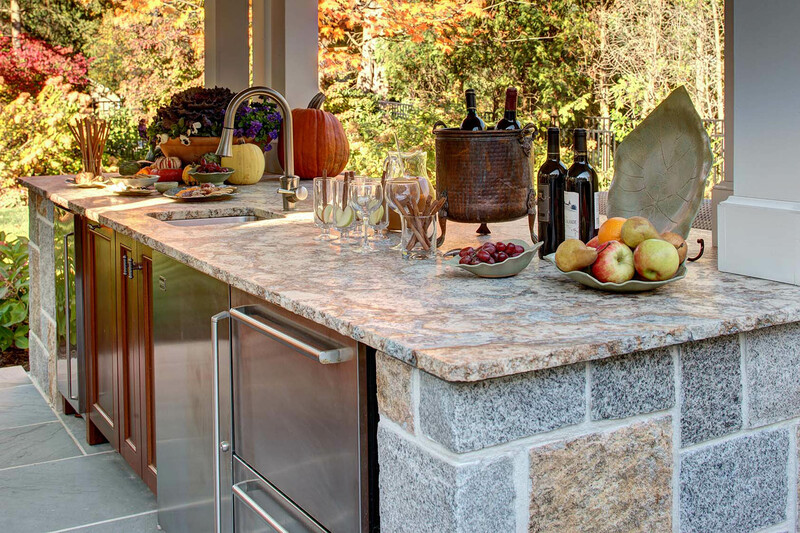 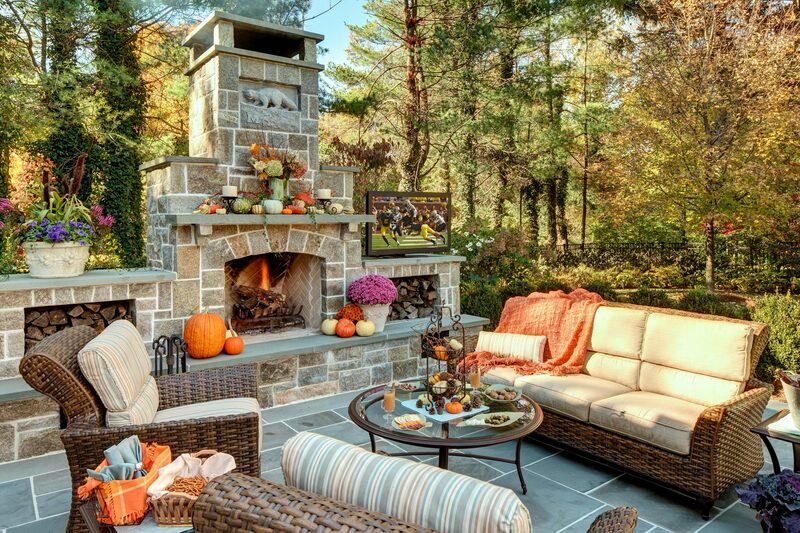 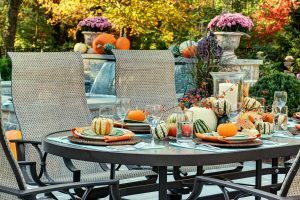 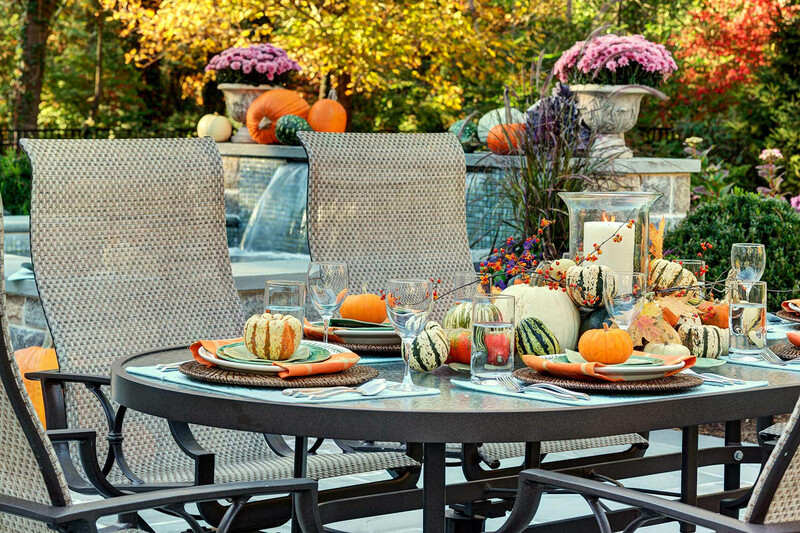 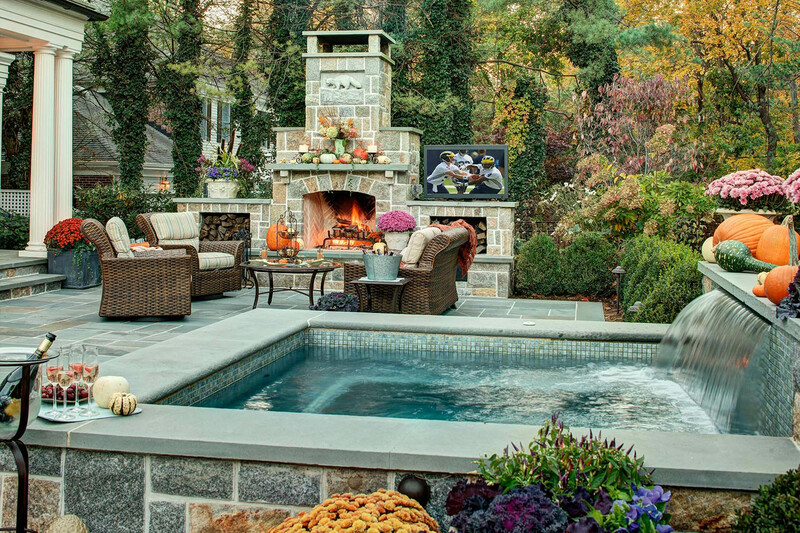 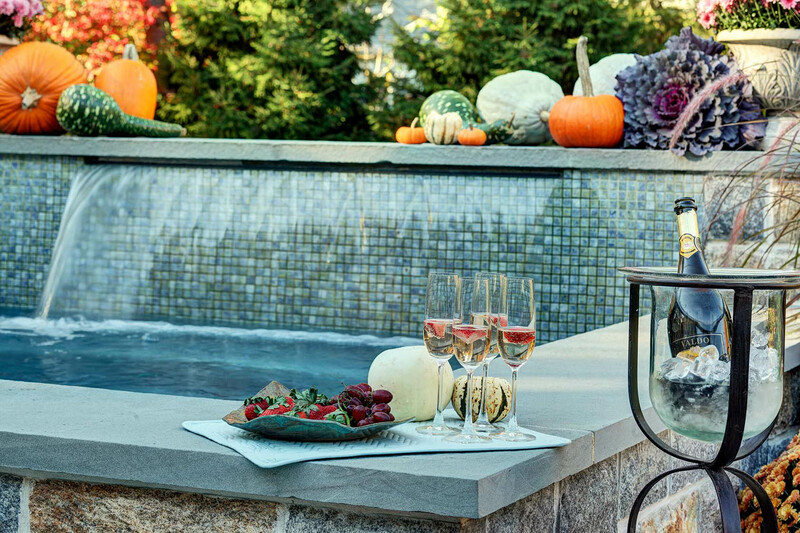 Outdoor entertaining is a year-round affair at this stately home in Summit, NJ. 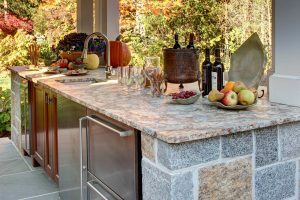 Our client, a proud alumnus of Michigan State University, hosts plenty of viewing parties thanks to a covered outdoor kitchen, stylish heaters and a custom fireplace featuring a carved stone sculpture of the Michigan Wolverine and logo. 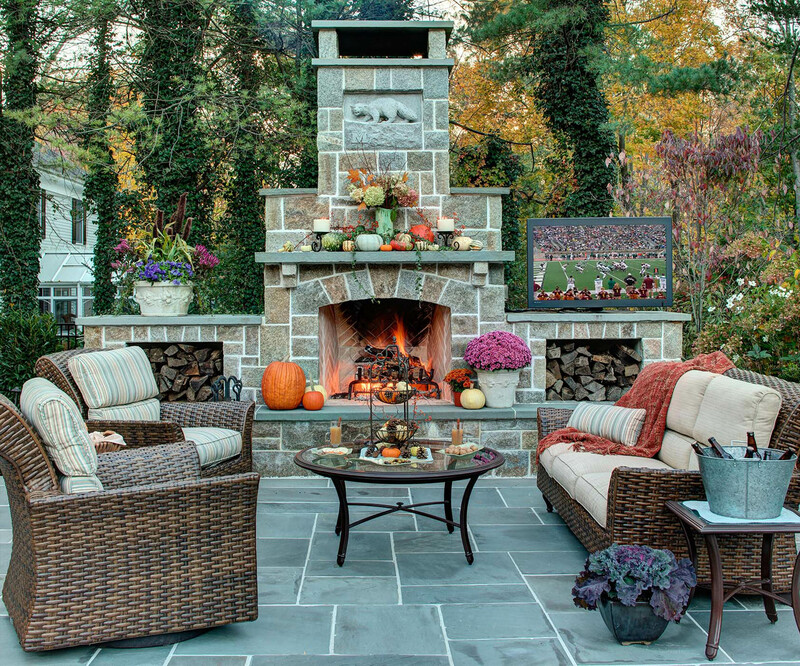 The fireplace, crafted of the same Connecticut granite as the house, also contains built-in speakers, niches for firewood storage, a shelf for a large screen television, and a generous hearth and mantle for seating and display. 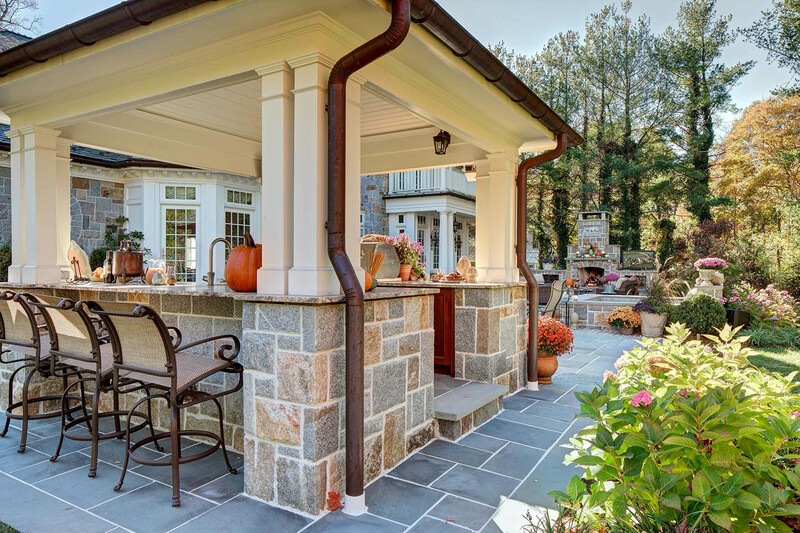 A separate covered kitchen and bar features another TV, grill, stovetop, refrigerator, cabinets, a ceiling fan, and highlights the same materials and architectural detailing as the house. 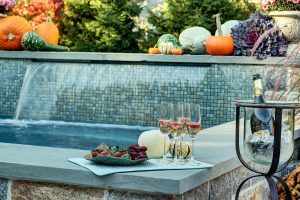 An outdoor spa doubles as a central water feature, and separates the kitchen and dining area from the living area of the large patio space. Lush plantings provide screening for privacy and a succession of blooms nearly every month of the year, while a large lawn area provides room for a quick play during halftime. 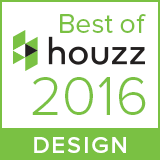 This project was completed in partnership with The Todd Group and was featured in the October/November 2015 issue of Design NJ magazine.